The month-long effort is headed by the Association of Pool & Spa Professionals, the American Red Cross, the National Recreation & Park Association and the World Waterpark Association. 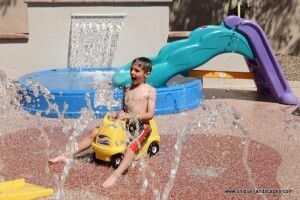 All of these organizations are dedicated to ensuring that Americans enjoy safe, fun aquatic activities, at waterparks and resorts or in public swimming pools. National Water Safety Month puts special emphasis on education about water safety, the importance of swimming lessons, parental supervision by the pool, following pool rules and using the “buddy system,” reports the WWA. Whether you need guidance on one or all of these topics, all of the sponsoring organizations offer guides and tips for helping your family stay safe while swimming this summer. The official website for National Water Safety Month has a ton of helpful information, from the Safe Swimmer’s Pledge to water safety tips to swimming rules. The event’s social media pages are also frequently updated to provide swimmers and pool owners with up-to-date information to share with family and friends. 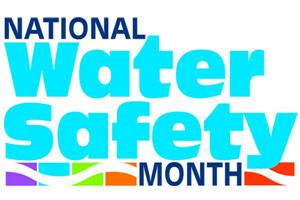 So how can you celebrate National Water Safety Month? Download fact sheets, watch helpful tip videos or simply post information for your residents about safe swimming practices and then have a pool party and demonstrate all the safety tips you learned!